Most adults, kids, parents and pretty much any performer without an agent or a manager thinks that if they could just get an agent everything about their career will change. They are not wrong. 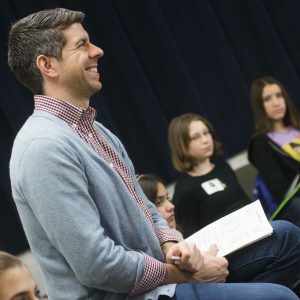 An agent or manager can help a performer get into the room for projects like Broadway shows, movies, TV shows etc that you just can’t get into on your own. So how can you get one?? If you feel your child is ready for representation, there is a lot you can do to get the ball rolling. Remember, this is a business and if you get your child an agent or manager, you (the parent) must be prepared to get into NYC for auditions, be ready to film self tapes at a moments notice and your child will be missing parties, after school activities and other events because they have auditions and hopefully a job. *One day workshop with an agent or manager. A bunch of programs offer agent or manager workshops. Be aware of what you are signing up for. They are not all good and know it’s just an opportunity to get in front of industry and perform. There is no guarantee. Also be aware any company that is really selling the dream is not somewhere I would want my kid (I don’t have a kid, but you get it). We at Broadway Workshop don’t offer a ton of these. We do try to offer enough opportunities where agents and managers would see your child perform during some of our class showcases and productions. *Ask a friend. If you have a friend that works with an agent or manager, you can ask them to put in a good word. It’s very awkward and if your child is a lot like their child – don’t do it. It is a bit of a conflict of interest and most likely if the agent reps a kid that is just like (age, height, type) as yours they do not need two of them. They do their best not to have a client list that competes with each other. 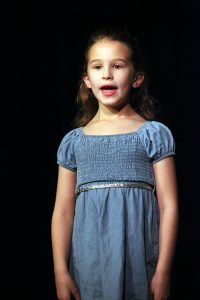 *Invite industry to any performances your child is doing in NYC (cabarets, readings, off-Broadway shows). I would suggest not inviting them to the high school musical on Long Island. They are not coming to that. *Audition for Broadway Workshop and Random Farms annual Showcase. Broadway Workshop and Random Farms (an awesome youth program in Westchester) produces a showcase together each year. It’s a totally free event and pretty much every agent/manager and casting director attends. More info can be found here! Did I mention it is totally free to be part of it. Auditions start in November. *No Agent/No Big Deal. There are so many ways to find auditions without an agent. 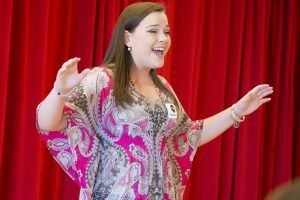 Not every kid is ready to be auditioning for muli-million dollar Broadway shows and network series. So as your child trains and grows into their type, you can do so much to get them some work or some great opportunities. 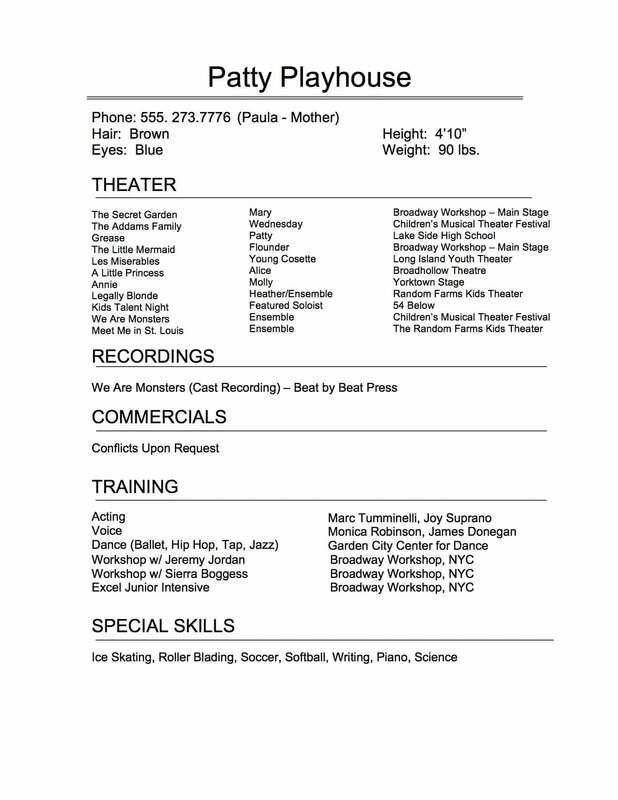 Check out www.backstage.com, www.actorsaccess.com and http://www.playbill.com/job/listing for auditions. open calls, workshops, readings and non union TV and student films.